The cheapest airfare to Honolulu is $508 departing from Adelaide. HNL is the IATA code for Honolulu. The Coordinated Universal Time offset for Honolulu is -36000. 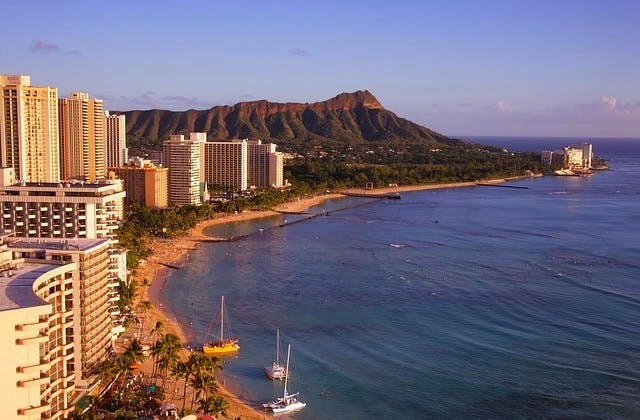 RT @SouthwestAir: Your favorite airline is selling flights to Hawaii. Low fares from OAK and SJC to Honolulu, Maui, and Kona. RT @SouthwestAir: Stop daydreaming, and start packing. Now selling flights from Oakland and San Jose to Honolulu, Maui, and Kona.